Advanced Equipment offers four models of poultry IQF tunnel freezers and two chicken- poultry IQF spiral freezer models. 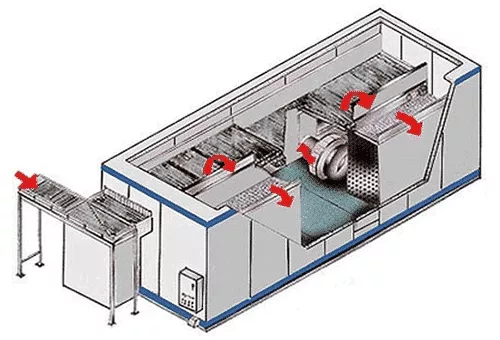 Many major poultry food processors rely on our spiral and tunnel freezers for reliable and cost-efficient IQF (Individually Quick Frozen) freezing production. For over 30 years , Advanced Equipment has been designing and manufacturing IQF poultry, or chicken spiral and tunnel freezers. 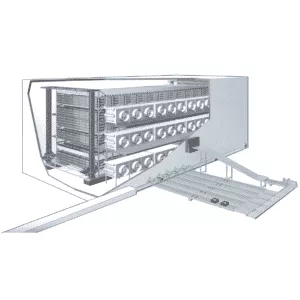 One of the biggest advantages of Advanced spiral and tunnel freezers is our own unique solutions to food safe IQF poultry freezing. Our Advanced Cleaning-In-Place (CIP) and Sterilization-In-Place (SIP) systems automatically clean and disinfect without major disassembly and reassembly work, saving downtime and labour costs. All you have to do is press one button and the system will automatically clean our spiral or tunnel freezers. No matter what type of chicken or poultry products you need individually frozen, Advanced Equipment has your solution. All our spiral and tunnel freezers are built to USDA, FDA, UL, CFIA, OSHA and CSA - Specifications & Standards. If you have some unique freezing needs we can easily customize any of our spiral or tunnel freezers. Every component of our freezers is manufactured in our sophisticated engineering and manufacturing facility to ensure quality control. Our spiral and tunnel freezers offer lower operating costs compared to C02, nitrogen and other types of freezers. For over 3 decades, Advanced Equipment has been refining and improving our spiral and tunnel freezers. 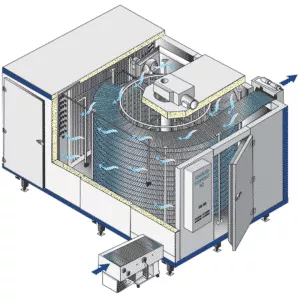 Advanced spiral and tunnel freezers are designed to minimize product weight loss (shrinkage) and assure quality, gentle handling of poultry products during the freezing process. Decades of refrigeration expertise and innovation are behind every one of our spiral and tunnel freezers. 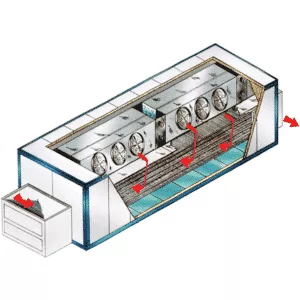 Our tunnel freezers are factory assembled and designed to minimize site installation time. 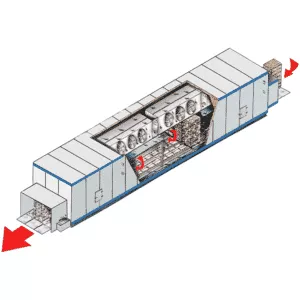 Advanced tunnel freezers are designed to take up minimal space, reducing the cost of ownership. Whenever our engineer's design and innovate, they have their eye on reducing power consumption. 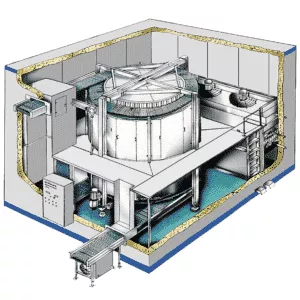 The main advantage of Advanced spiral and tunnel freezer systems is rock solid reliability. If there is one factor that kills profit lines, it is downtime. Reliability is why there are Advanced freezer systems in remote locations around the globe. Advanced Equipment is a globally recognized brand for spiral and tunnel freezers. Need to Freeze IQF Poultry? 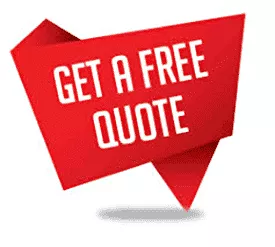 Give us a call and an Advanced engineer can help you pinpoint the freezer solution that is the right fit for your poultry freezing needs. You can also schedule a free consultation on our spiral and tunnel freezers.